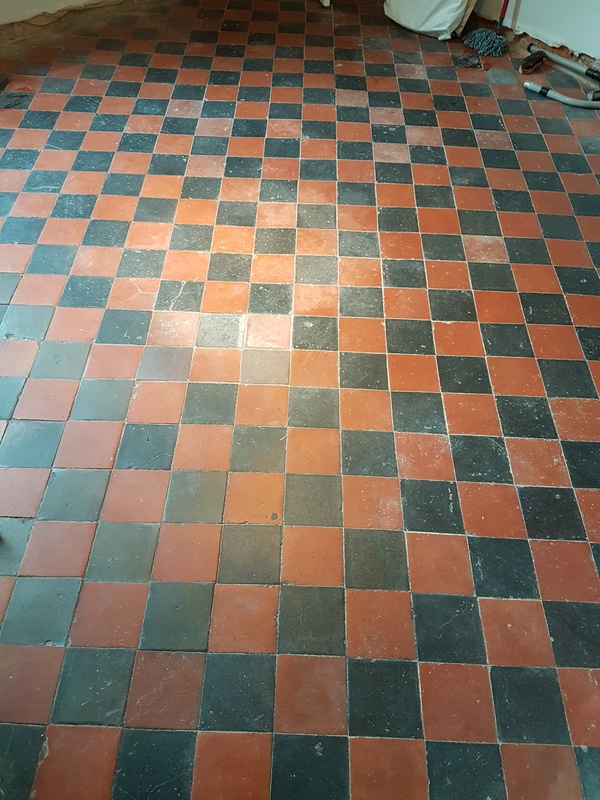 This is an original Chequered Black and Red Quarry Tiled floor at a house in the historic town of Knaresborough. 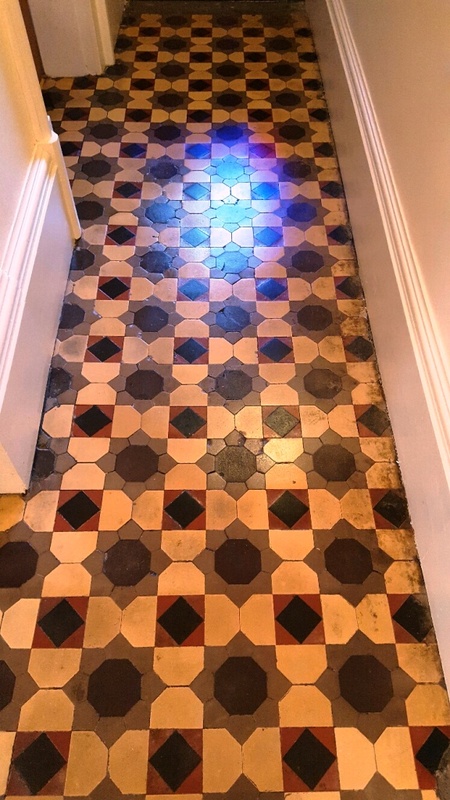 The town expanded rapidly during Victorian times and this floor dates to when the house was built over 100 years ago. 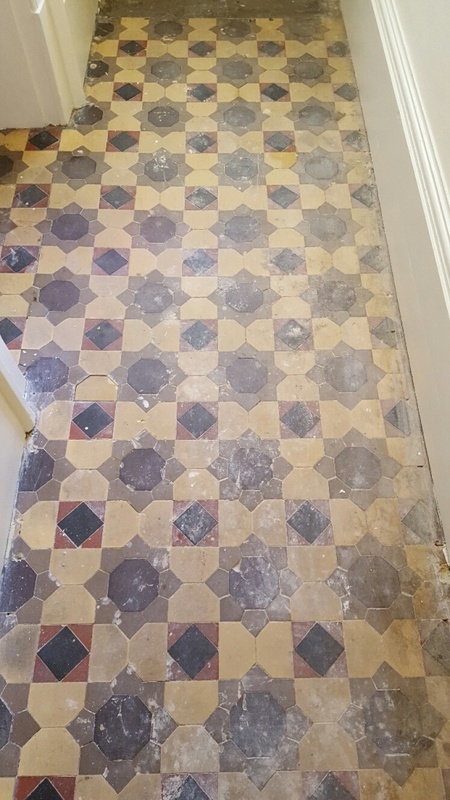 The properties in the road are all a similar style and age so it’s likely that there are others with original Quarry tiled floors too. 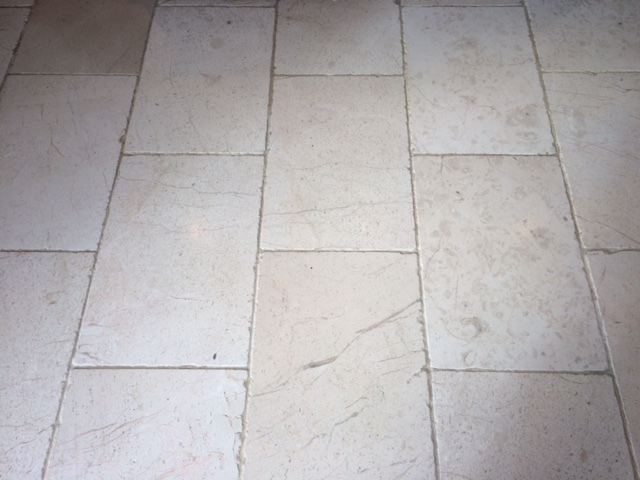 Before contacting us, the customer had already spent a week trying to clean the floor and was not happy with the result. He emailed over some pictures to highlight the problems which mainly related to paint splashing from decorating. I reviewed the pictures and subsequently made a site visit to survey the floor. It was clear that he had managed to make the floor cleaner, but more work was required. Confident l could improve upon his efforts we set a date for my return. I spent the first morning carefully scraping off spots of plaster and candle wax that l knew my machine wouldn’t remove. 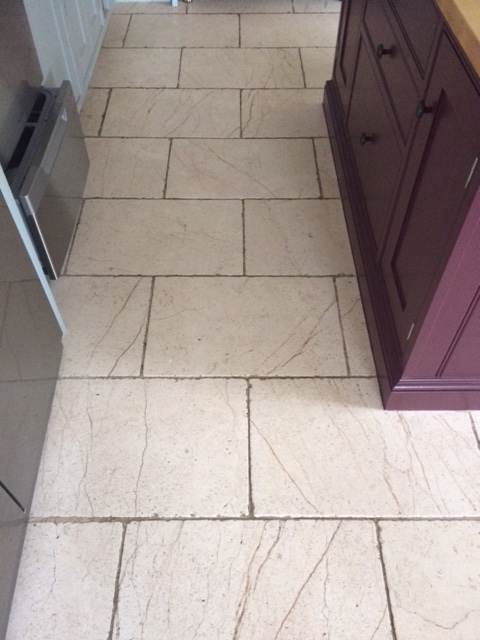 Once that was done, I gave it a good scrub using a black pad fitted to a rotary buffer and using Tile Doctor Pro-Clean diluted with three parts water. The resulting slurry was then rinsed off the floor with water and extracted using a wet vacuum. 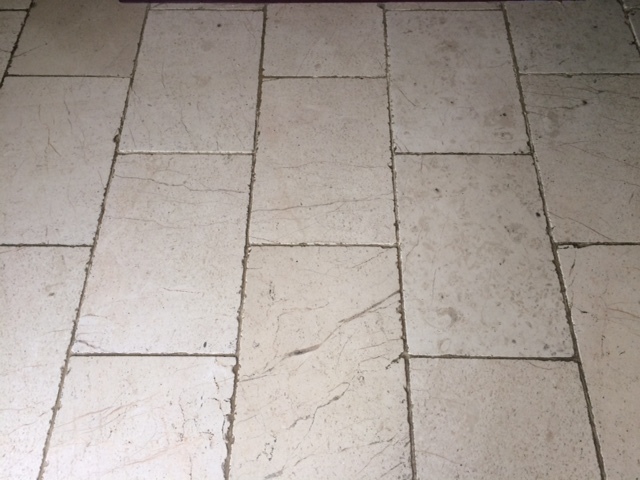 This was an old floor with no damp proof membrane, and I was concerned white efflorescence salts would appear as the floor dried out. 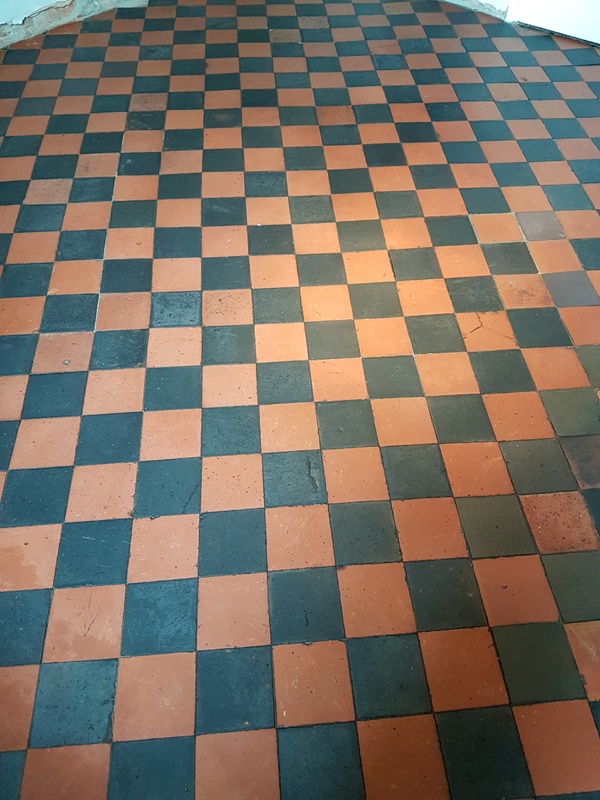 To counter this I gave the floor an acid rinse with Tile Doctor Acid Gel to help neutralise and inhibit any alkaline salts. After scrubbing it into the floor with a deck brush I rinsed the acid off the floor and again extracted the waste using the wet vacuum. I took some damp meter readings at that point and found that surprisingly the floor was only showing a 20% moisture reading. I left the floor to dry out fully overnight and would check the damp readings again the next day before sealing. I had the option of sealing it the next day or the day after, so I decided to leave my damp meter with the customer, so he could take the readings himself and let me know when the floor was dry. He took some more readings four hours later which were lower and after discussing it with me on the phone later that evening I agreed to return the following day. I took some more readings the next morning and most of the floor was reading less than 10% which was an improvement but not as good as I had hoped for. 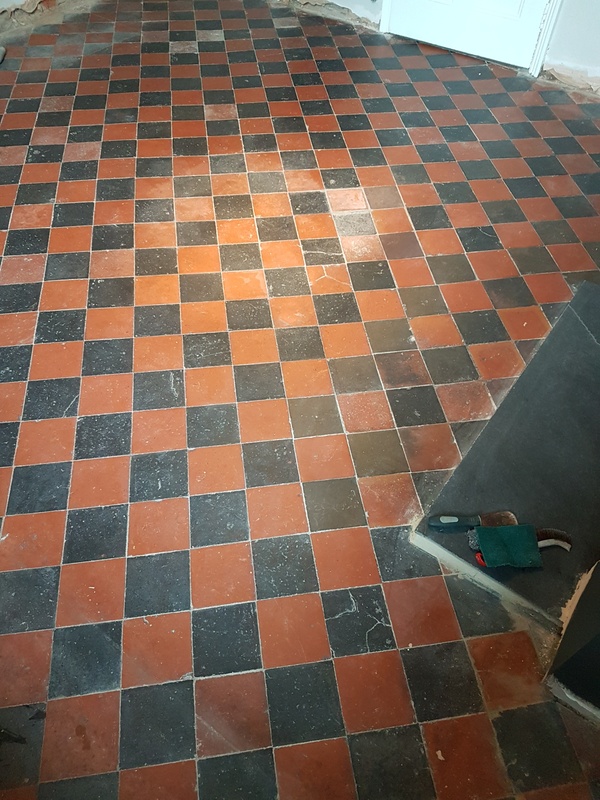 I decided to spend some time speed drying the tiles with a heat gun to be sure. 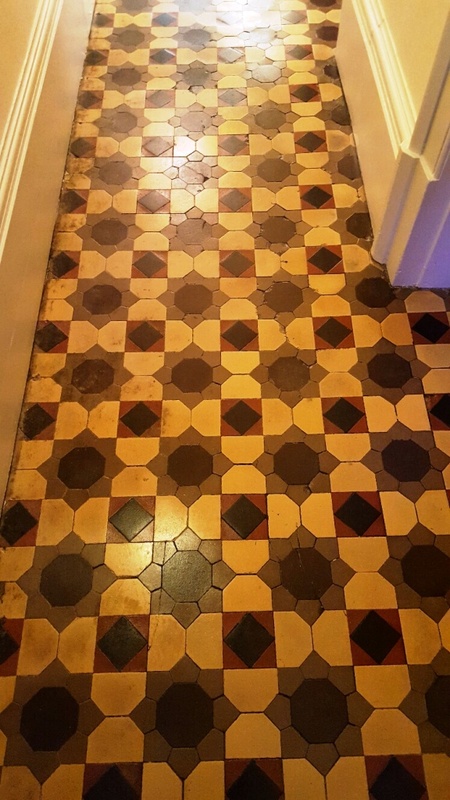 Once I was happy, I applied two coats of Tile Doctor Colour Grow to enhance the colour and protect the tiles from staining. 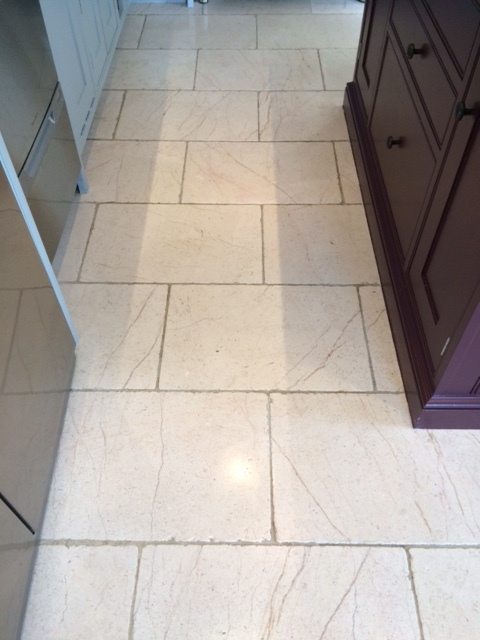 This gave the floors a lovely sheen and the deep colour looked great. Colour Grow is an impregnating sealer that works by occupying the pores in the tile thereby preventing dirt from becoming ingrained there. 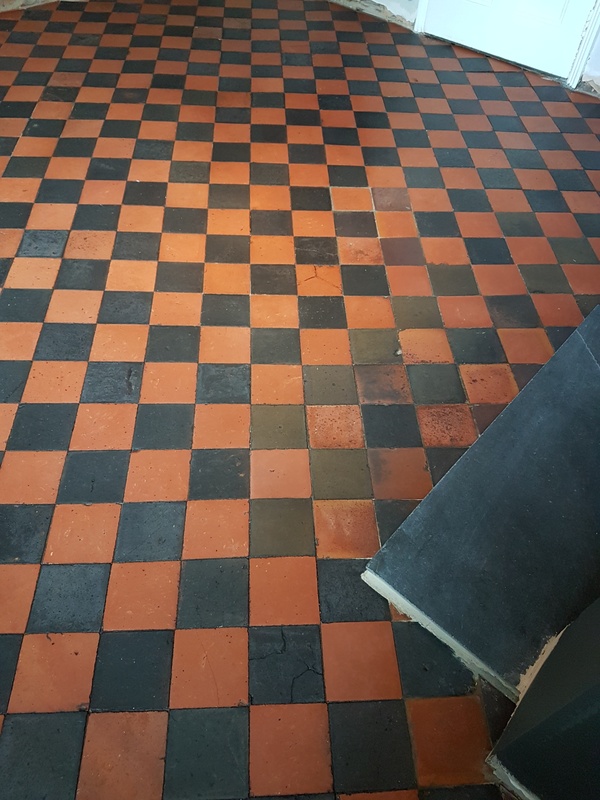 This sealer is also fully breathable which means it will allow moisture to rise through the floor which is important on these old floors with no DPM. The full renovation process dealt with all the issues my customer has raised and the new sealer gave the floor a very consistent appearance. 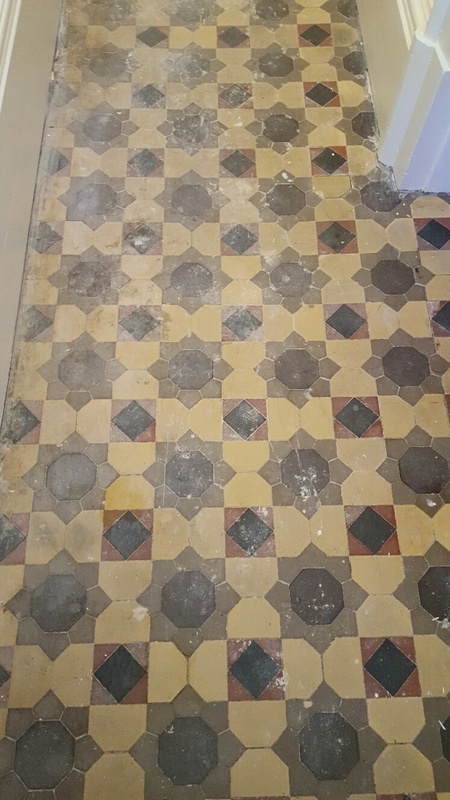 I’m happy to confirm that my customer was pleased with results and is now content that his floor is in the best condition it could be considering its age.